If you search the term "emaye" on the web, you'll find that it's a popular title for blog posts among American adoptive mothers of Ethiopian children. That's because it's the word for mother in Amharic. Actually, it's more like the word for mom or mommy. "Enat" is really the word for mother. The word for mother has an 'n' sound instead of an 'm' sound. The "n' sound gets changed to the 'm' sound in the more intimate term. There is something so comforting about that letter m. Even the look of the letter is soft, round, and non-threatening, like a mom. This is true for the m group of Amharic letters too. Could this letter ("muh") be any more evocative of a mother? Takes me back to my breastfeeding days. My mom would have turned 70 years old today. She was born Suzanne Claudette Cardin on May 3, 1944 and she died on August 7, 2010 of a glioblastoma brain tumor. This morning, in her memory, my wife (also named Suzanne) and I participated with Anemo in the Brain Tumor Walk through Golden Gate Park, an event to raise money for brain tumor research. 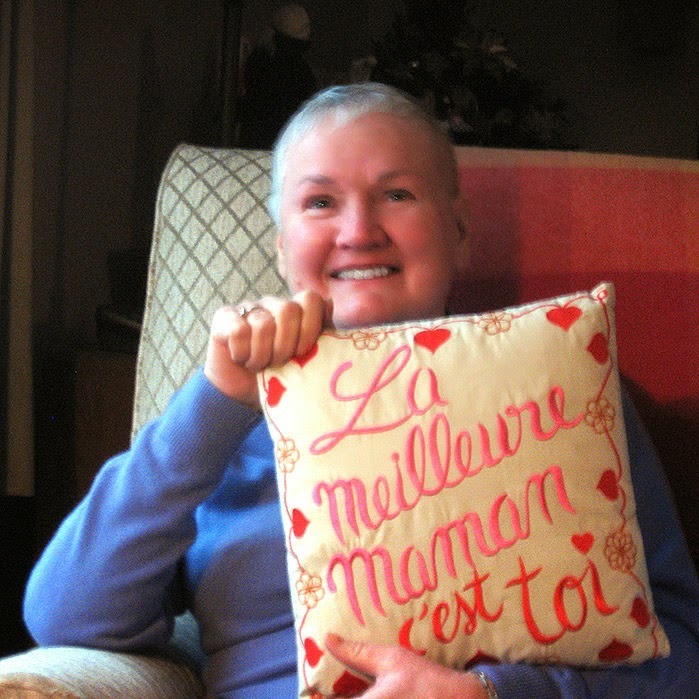 This is the photo of my mom we used on our fundraising page. The language my mother spoke at home as a child was French, since both her parents had migrated to Woonsocket, Rhode Island from Québec when they were young. My mother was even a French teacher briefly before I was born. Unfortunately, I never learned the language of my ancestors. Instead, I am learning the language of my descendant, and I'm happy my mother got to know Anemo before she passed away. Here's to you Mom, Maman, Emaye!